The Office of Maine State Fire Marshal is investigating the Green Street blaze, according to local fire officials. 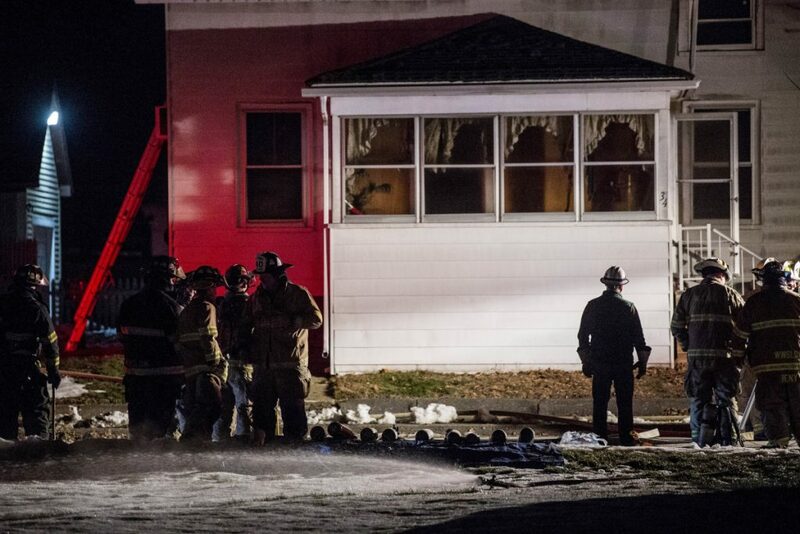 WATERVILLE — The Office of Maine State Fire Marshal is investigating the cause of a fire late Saturday night that damaged a duplex on Green Street in the city’s South End, displacing two people. 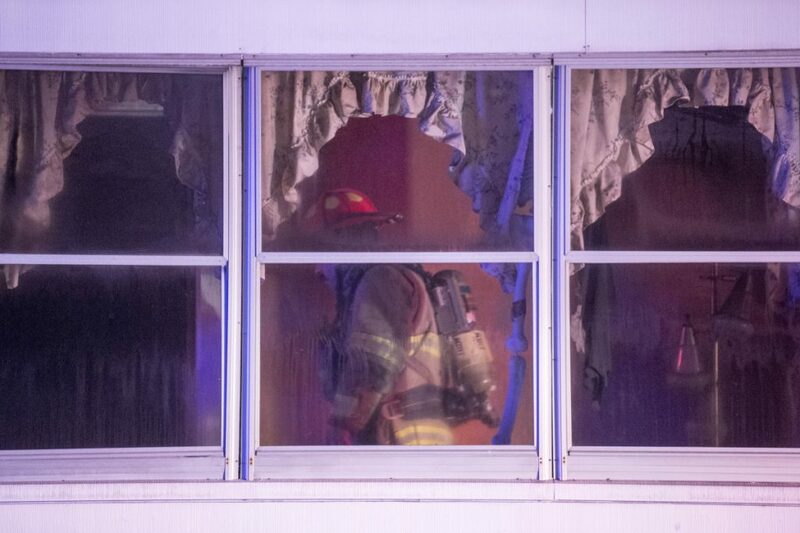 Firefighters were called to 34-36 Green St. at 10:47 p.m. as smoke was coming out of the duplex and firefighters went into the unit at 34, according to fire Chief Shawn Esler, who was at the scene. Firefighters struck a second alarm to call crews from Winslow, Oakland, Fairfield and the Skowhegan Fire Department’s Rapid Intervention Team. 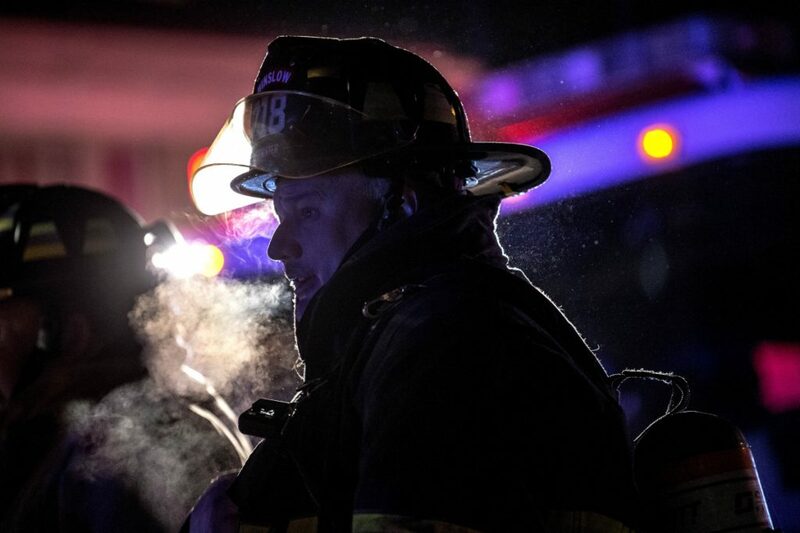 Central Maine Power Co. and Delta Ambulance were at the scene, where houses are situated close together and firefighters worked in temperatures hovering around 30 degrees. “From what I understand, damage was extensive but confined to the building of origin,” Esler said of the unit at 34 Green St. The duplex is owned by former City Councilor Roland Hallee, who also is the city’s election warden. Hallee and his wife, Joan, live just behind the duplex on Kennebec Street. The Hathaway Creative Center on Water Street, formerly part of the Lockwood complex, is a stone’s throw away from the duplex. Water Street runs parallel to Green Street. Hallee said he had just finished watching a hockey game on television late Saturday and went to bed when his wife came in to report someone was pounding on a door saying there was a fire at the duplex. He said a couple lives in unit 36 and a single man lives in unit 34, but was away from home. However, a homeless couple had been staying with him and reportedly were to leave the duplex Saturday morning. “There should be no one in there right now,” Hallee said. He said the heat source in the duplex is forced hot air. When he arrived at the scene, there was smoke coming out of the attic vents on both sides of the two-story duplex, he said. Esler, who has spoken publicly recently about the lack of an adequate number of firefighters responding to fires within the first several minutes, said 21 firefighters were at the scene Saturday night. Esler pointed out an “accountability system” that was being used at the fire scene Saturday that helps track where firefighters and equipment are at all times at a fire scene. Winslow fire safety officer John Moshier was operating the system in the road in front of the duplex. Esler said where the accountability system is set up also serves as the fire command scene. He said the grant was for about $20,000. 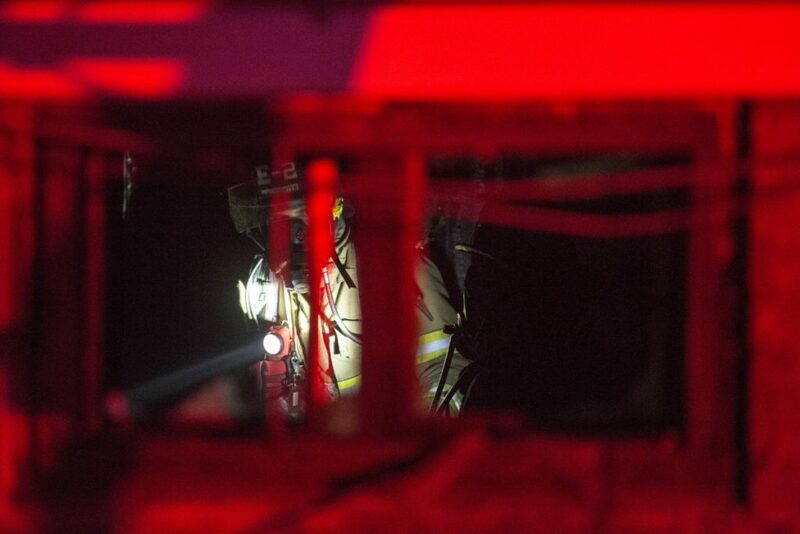 Firefighters from all communities were working well together Saturday night, according to Esler. “The regional effort is the best for us — it’s the safest approach for us,” he said. 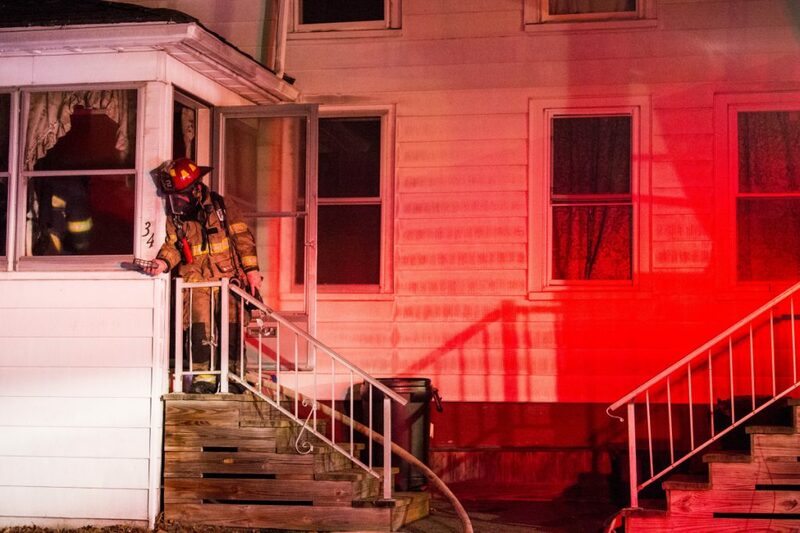 A press release issued early Sunday by Waterville fire Captain John Gromek said two people who live on the 36 Green St. side of the duplex and were displaced had made arrangements to stay with friends. State fire investigators will be at the scene on Monday, according to the release, which also said no further information will be available until then.